A concentrated elixir of Lavender, Rose, Rosehip Seed and Vitamin E to help soothe dry, dehydrated skin and prevent fine lines and wrinkles. 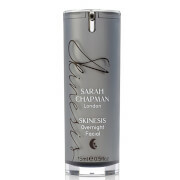 It’s formula optimizes skin vitality and supports skin’s natural ability to regenerate for soften, smooth skin. needed. Can also be used as a treatment for the neck, cuticles and heels by massaging directly onto problem area. Intensive Skin Treatment Oil by Aromatherapy Associates is simply the best. It is used by the experts at Champneys of Tring an put simply, a superb product that really does produce positive results. Bought this for my son's Christmas box, he won't use anything else so I know he'll be pleased. 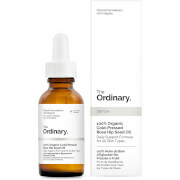 This oil is the richest among Aromatherapy Associates and it is very nourishing. The smell is a bit dominant because of the Evening Primrose oil but the result is what it promises to be intensively hydrating. It soothes and calms my dry eczema skin and it is a must for winter! I am on my third bottle already. This Intensive Skin Treatment Oil really does do what it says on the bottle. Minor skin imperfections and lines do noticeably recede and my skin feels fresher and tighter to the touch whilst also looking younger!